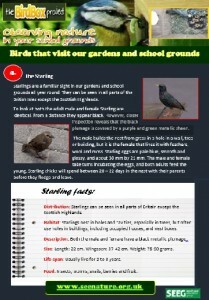 Each week we will be featuring a bird that frequently visits our school grounds and gardens. This week our chosen bird is The Starling. Starlings are a familiar sight in our gardens and school grounds all year round. They can be seen in all parts of the British Isles except the Scottish Highlands. To look at both the adult male and female Starling are identical. From a distance they appear black. However, closer inspection reveals that the black plumage is covered by a purple and green metallic sheen. The male builds the nest from grass in a hole in a wall, tree or building, but it is the female that lines it with feathers, wool and moss. Starling eggs are pale blue, smooth and glossy, and about 30 mm by 21 mm. The male and female take turns incubating the eggs, and both adults feed the young. Starling chicks will spend between 20 – 22 days in the nest with their parents before they fledge and leave. Distribution: Starlings can be seen in all parts of Britain except the Scottish Highlands. Habitat: Starlings nest in holes and cavities, especially in trees, but often use holes in buildings, including occupied houses and nest boxes. Description: Both the male and female have a black metallic plumage. Size: Length: 22 cm. Wingspan: 37-42 cm. Weight: 75-90 grams. Life-span: Usually live for 2 to 3 years. Food: Insects, worms, snails, berries and fruit. 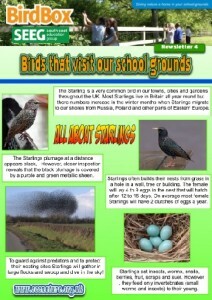 To download your copy own copy of our two fabulous Starling facts sheets. 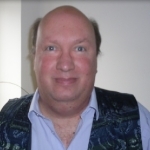 Just click on the thumbnail images below!